Your phone can entertain you, inform you, and keep you connected to the people that matter the most—but it can also be a help in times of emergency. Whether you find yourself in a genuine life-and-death situation or just an awkward social encounter, your phone can help you escape. These are the apps you should keep installed in case of emergency. It’s important to note right out of the gate that without an in-app purchase you’re limited to a rather meaningless text and one contact when you hit the button, but if you can forgive the developers for upselling, then this is actually a useful app to have downloaded. It works exactly as its name might suggest. 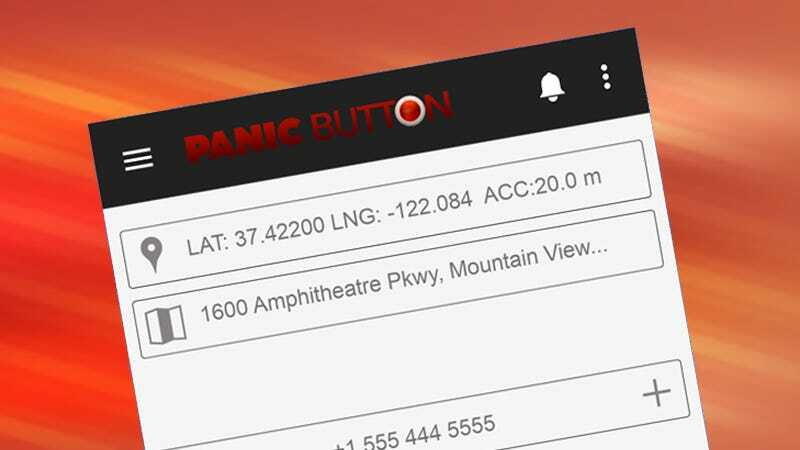 You hit the panic button and a message goes out to the emergency contacts you’ve specified in advance, together with a link to your current location. The paid upgrade also enables emergency services calling capability. If you or someone you’re with needs medical attention, then this First Aid app can help, giving detailed guidance for all kinds of problems, from asthma to a heart attack, and you can also call up the address of the closest medical center from inside the app itself. There’s a quiz mode integrated into the app so you can testing your knowledge and get prepared ahead of time, and the video clips and step-by-step guides are all easy to follow. You can call 911 from inside the app as well and access various other handy resources. There’s a very simple but very effective idea behind SafeTrek. You hold down the blue button if you feel vulnerable, then let go and enter a PIN when you’ve reached safety. If the PIN isn’t entered when the software button is released, then the app sends out an alert. The alert is sent to the local police who will be on their way using the location info provided by your phone—you don’t need to do anything else. The only downside is there’s a monthly subscription fee of $2.99 (or $29.99/year), but you can try it for free for 30 days. The official app from the US Federal Emergency Management Agency comes packed with information about how you can prepare for a natural disaster event as well as up-to-date help for what to do afterwards, including locations for shelter and meeting points. Over 20 different types of disaster are covered, with resources for before, after, and during the incident. If you’re outside of the US then see if any apps are available from your own government—and if you’re off traveling you might want to stock up on them in advance. Life360 is essentially a one-stop shop for all kinds of family-friendly utilities, from managing shared to do lists to tracking where everyone is on a map. While you might not appreciate your parents spying on you all day, there could be times when it’s invaluable. There’s a Panic Alert feature built into the app that will take care of messaging the friends and family you choose via voicemail, email and notifications if you should get into trouble. The people you alert will also be able to see your last known location on a map. No matter what life throws at you, this app can help. Adapted from the book written by a British SAS instructor, it covers just about every scenario imaginable when it comes to survival, from the berries you can eat to the knots you need to tie to the dangers to look out for. There are videos included too for some of the topics, but aside from those clips everything works offline, should you find yourself in the middle of nowhere without signal. There’s a detailed first aid section here too and some helpful advice on self-defense techniques. We’re not saying that being stuck on a bad date is equivalent to having a heart attack or being stranded out in the wilderness, we’re just trying to be thorough... and if you do need to make a quick getaway from somewhere then Fake Call fits the bill pretty well. You can set up the app to call you with a caller ID of your choice, and there’s a timed option too if you want to make it as surreptitious as possible. The app is exclusive to Android but there are alternatives for iPhone users, including the simple Fake Call Free.